Kickserv has both a web interface using a mobile browser (Safari, IE, Chrome, Firefox, ect..) and we have a downloaded mobile app from the Apple store or the Google Play store. You can have icons on your mobile desktop or home screen with the mobile app and a shortcut for the web browser address. Note: All browser are not treated equal on the iPhone. 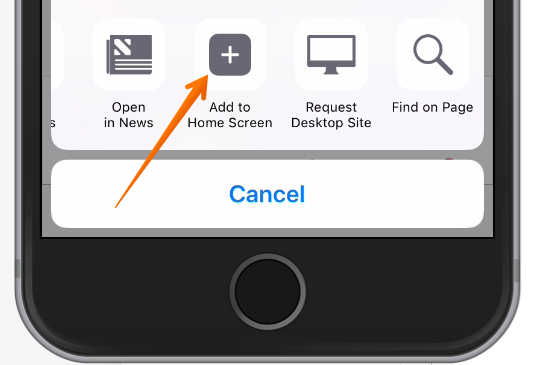 And then scroll to the right and locate the Add to Home Screen icon. You then are given a chance to rename this new home screen icon and click done. Open Firefox for Android and go to your favorite web page. Press the Menu button (either below the screen on some devices or at the top-right corner of the browser) , then tap on Page. Your shortcut should now appear on your home screen.